Exploring the relationship between body/mind and heart/soul can lead us to a greater understanding of what may at first appear to be conflicting needs and desires. As we learn how to balance the needs of the body with the desires of the heart and soul, we come to see that it is less about balancing and more about dancing. We find that though it appears that the "he" inside of us, our mind may be doing the leading, in truth, if we actually want to be where we have lead ourselves, then it is the "she" within, our heart and soul, whose subtle cues "he" must read and protect. It is in this way that we reconcile and align ourselves with our higher and often hidden purpose. We sit on the precipice of a great golden age that is about to explode onto the planet. This has already been quietly building behind the scenes, bit by bit, little by little as we have made the decision to follow the instruction of the soul and pursue our dreams. Many of us decided to go with the soul after realizing that what we once thought was "secure" wasn't secure at all, so we might as well get some real security out of life. And that real security is brought about in the assurity that what we are creating is something that truly matters to us and pays dividends of intrinsic soul satisfaction all the time. We are coming into a time of the re-unification of the Divine Feminine and Masculine forces. Although we may think we have learned about these forces by observing the interaction between men and women, it really has little to do with men and women per se, for this unification applies to us all equally. Quite simply, it means that we are now going to be integrating our body/mind with our heart/soul, bringing all the intangibles back into play in our everyday lives. It means that we will use what we have created during this particularly mind identified time in history to help us bring back the magic, the things that really bring us joy, peace, harmony, serenity, fun, camaraderie, creativity, inspiration, connections, cooperation, bliss and love. This can only lead us to more of what our heart of hearts is really craving; deeper, more loving, soul connected relationships. It's time to completely re-focus our intentions around our heart's desires. No more settling. We've finally cleared the way, as we've purified and nurtured our hearts. 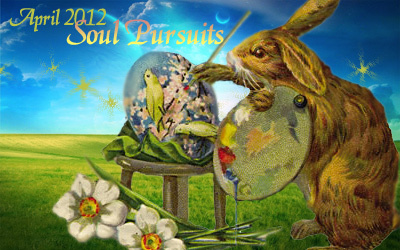 It has never been a better time to follow the pursuits of the soul. 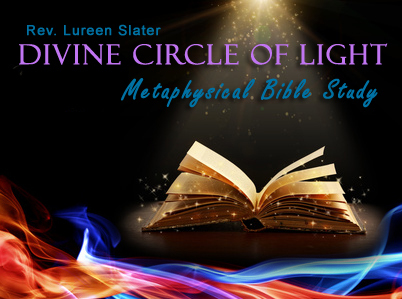 Come experience spiritual awareness as The Bible comes alive when the mysteries of this greatest Metaphysical Holy Doctrine is discussed from the I AM perspective. God using Jesus as the example for us to restore wholeness and perfection through conscious choice as we become illuminated. Ordained minister, Founder of Divine Circle of Light, member of Church of Spiritual Light community, All Ministerial Services, Mathematics Teach for Lee County at Varsity Lakes Middle School, member of Truth Center for Higher Consciousness and member of Universal Circle of Enlighten Prayer Line. 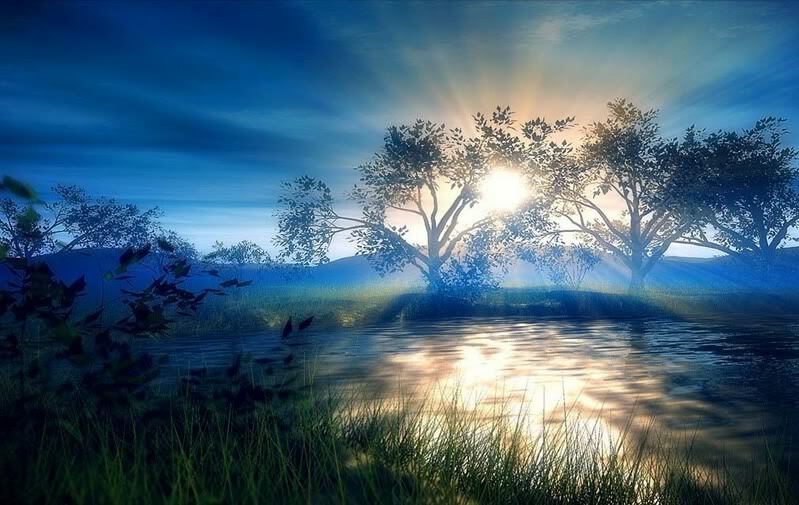 How Do You Reveal the Light Within? There is a secret, private moment, sort of an in-breathe that happens just before you can start the process of Detection and open to a deeper Awareness of what inspires you. It's called Surrender. But surrender doesn't mean what we might think it means.Think of it as surrendering to your soul and your Higher Self. And the reality is that there is that secret moment of surrender before we delve into any one of these aspects. Some of us are willing to engage in some of these, and already do. So the surrender comes in the realization that any one of these things without the other can lead to addiction and blockages. Yet, It's no wonder many people have difficulty connecting with the ability to surrender. It is difficult to surrender to something that makes you uncomfortable. You can take a look in the dictionary and get a sense of what the mass consciousness thinks about the word surrender. It's a fairly negative view. But it doesn't have to be that way! It is important to trust your feelings. And if you do not feel like surrendering, perhaps the true call is to think about what you DO WANT and surrender to that, instead of focusing so much on what you don't want. That is the call of the times as we turn into this new age. We are stepping into our creative powers in ways that can lead us to our soul unlike ever before. What the powerful process above does is ask you to surrender little by little to the different aspects of yourself. It's not asking you to even surrender to something outside of yourself. If you can reveal the Light within you. 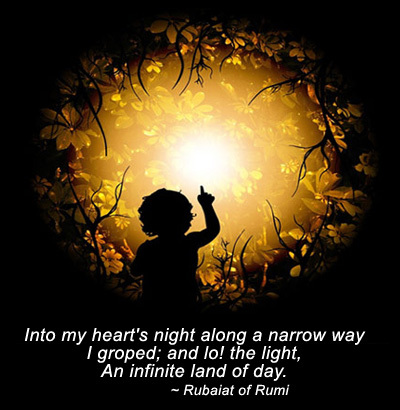 Where that leads you is indescribable! Where do miracles come from? What is happening when everything aligns and what you want materializes right before your eyes? What's happening when it doesn't? Is it a miracle or is it some unknowable force driven simply by laws of manifestation? Having the answer to these questions, learning about the law of attraction and the other laws of manifestation will only take us so far. Having knowledge is important. But what is absolutely vital is for us to setup our lifestyle so that we can explore, discover and honor the desires of our heart and soul. All the manifestation in the world of material items, won't ultimately satisfy and fulfill us if we are not using the laws of manifestation to give ourselves what we really want. Many of us don't know what that is. And that's what our journey is revealing to us. But we can use the laws of manifestation for anything, including the revelation of our life's purpose and to come to know ourselves more intimately so that we actually want what we manifest. I dare say, when we were born, that this is part of the master plan! There are things that our soul wants to create that cannot be bought or purchased at any price. They are intangibles, such as love, peace, joy, friendship, community, synchronicity, cooperation, support, creativity, affection, time and bliss. Certainly the focus on manifesting money can appear to foster these things. But the truth is that we can manifest these priceless, miracles of life without money. And in fact, trying to make these things happen through our own force of will, usually ends up in heartache and disillusionment. Conversely enough, when we begin to understand that we ourselves are the portal through which miracles are made manifest and the power behind our magic is our ability to reveal the Light from within, we will see all of the above magnetizing to us our heart's desire and all the resources, energy, cooperation, time, support and funds to see it so. 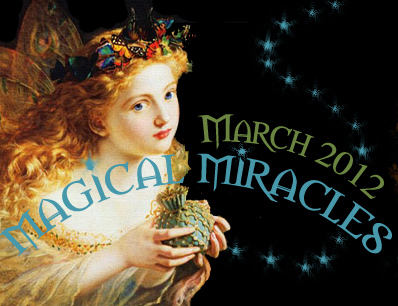 We are the magical miracle makers. Come and join us this month, in revealing the Light of the Magician within so that you can tap into your heart of hearts! March 25 - Celebration of Life: Coming Alive! I embrace life and all it has to offer. I create my life now through the power of love. I tap into my own creative life force to bring forth my bliss. There is something unique about me that others want to experience. I have many purposes for being and am open to harmonizing and synthesizing them into my life experience. My life is a masterpiece of love and creativity. My purpose is not to suffer, but to release suffering. The release of suffering for the planet, comes first through my love and compassion for myself. As I release myself from the path of suffering, I turn toward the path of love. Everything I think, say and do is a manifestation of love. Love is my reason for being. Whatever I create opens the way for more love. Through me miracles are made manifest. I acknowledge the magician within and take responsibility for my creations. I am a creator God and Goddess in the making. It is up to me to bring divinity to humanity through love, respect and kindness. Whatever is physical is already whole, therefore, the only healing is the realization of this perfection. I am a Master at the practice of Love. All of my dealings are guided and protected by my love. What I want, wants me. I am a miraculous, miracle maker of Light.